TLC4Environment: A Tale of Dead Rhinos: Controversial Translocation & Blame Game. A Tale of Dead Rhinos: Controversial Translocation & Blame Game. 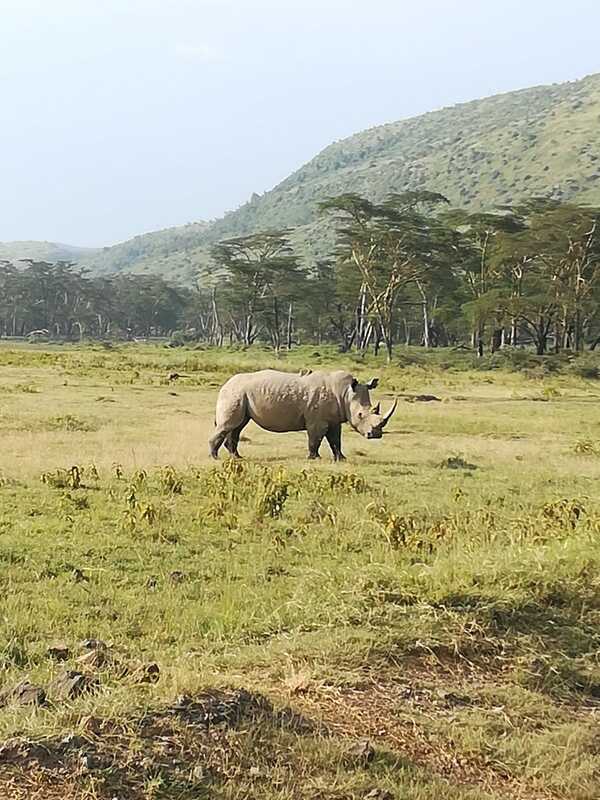 A rhino looks on at the Maasai Mara National Park. Photo credits: Elodie D.
Other than the brutal adverse cold temperatures being currently experienced in the country, the death of 10 critically endangered black rhinos has set tongues wagging. The blame game is hot and getting hotter daily after the massive loss of the rhinos which resulted after a translocation from the Nairobi and Nakuru National Parks to Tsavo. On the day when the first deaths occurred, just 4 days after the highly publicized translocation, the public was informed that the death was as a result of consumption of highly saline water in the new habitat. Shortly after the reported first deaths, as if in solidarity, more of the translocated rhinos died leaving only one remaining. The lone survivor is said to be “doing well” even though it is reported to have been attacked by a lion. We surely do hope and pray that it will survive! Now to the blame game, the WWF team, after orchestrating “The Big Move” is now trying in vain to disassociate itself from the disaster, saying that the organization trusted Kenya Wildlife Service (KWS) and had no reason to doubt their ‘incapacity’ to move the rhinos to the supposed sanctuary. Let us not forget that the Tourism CS, Hon. Balala last week made a daring move to sack KWS officials for their ‘carelessness’ in the translocation, attributing that the move was mismanaged from the beginning. The same move he had earlier termed as ‘a key milestone in the conservation of the rapidly dwindling black rhino population’. Questions arise why the CS is claiming this now because if he observed the mismanagement from the start, it is only logical that he should have pointed it out then and wouldn’t have agreed to it. On the other hand, Dr. Leakey, the former chairman of KWS board of trustees, has also given his statement about the conservation blunder, plainly condemning Balala for accepting to translocate the rhinos even though the board had opposed the translocation. However, according to The Standard Newspaper, park officials and insiders cast blame at what they termed as ‘constant wrangles and disagreements between management at KWS and wildlife conversation organisations that have infiltrated the wildlife sector’. One official pointed out that “The death of the rhinos is pure sabotage. 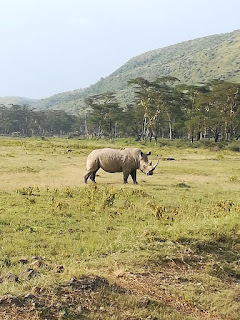 These groups (KWS and wildlife conversation organisations) have been fighting, so the rhinos were killed to prove a point.” (https://www.standardmedia.co.ke/article/2001289725/insiders-say-rhinos-victims-of-turf-wars-and-were-poisoned ). We however do not know how true this is, even though it just might be shedding some light to the truth of the matter. Before the translocation, questions arose why it was necessary to move the rhinos from a public protected area to a private sanctuary? Some of us are still waiting for a convincing explanation of some sorts. What do you think? Rumour has it that the translocation was done so as to facilitate the construction of the next phase of the SGR, but this is Kenya and we may possibly never know the whole truth after all. Local and international conservationists have exerted pressure on the issue demanding answers to what could have gone wrong- with some even stating that this is worse than poaching. As is the usual Kenyan style, investigations are being conducted and we the public are waiting for answers- if they will be found… ni hayo tu kwa sasa!